What’s the Microsoft Surface Pro? 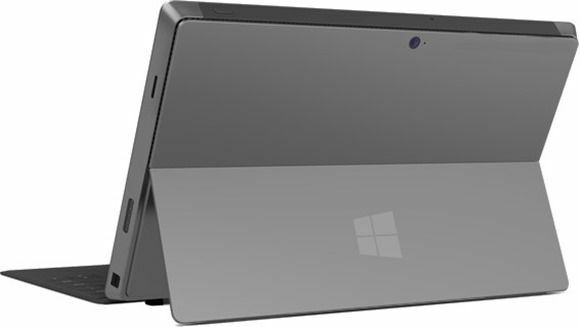 The Surface Pro will be a fully-capable desktop PC in a tablet form factor. For many people the surface pro will be faster and quieter than their existing desktop and yet will weigh under 1KG/2.2lb and use about 1/5th of the power of a desktop PC. SSD storage inside is likely to be upper-mainstream SATA class and will offer throughput rates and access times that enable fast boot and fast application startup. ‘Operation’ will be very fast compared to almost any mainstream desktop that consumer own. For many looking at their next laptop and/or desktop, Surface Pro could be enough, but it doesn’t work well in all scenarios. One of the scenarios it could struggle in is as a mobile tablet. Yes, Surface Pro may not be what you expect from a 2013 tablet because it’s in a different category. 1KG / 2.2lb of weight, a fan and relatively short battery life are going to be major problems for many people looking to buy a tablet. Why the Surface Pro won’t be a great Consumer Tablet. 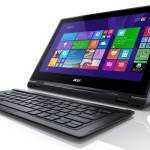 We’ve tested many many Ultrabooks here on Ultrabooknews.com. Before Ultrabooknews was born we were testing X86-based tablets. Since 2006 we’ve been 100% focused on understanding what makes a good mobile device and the limits of design given the current technology. 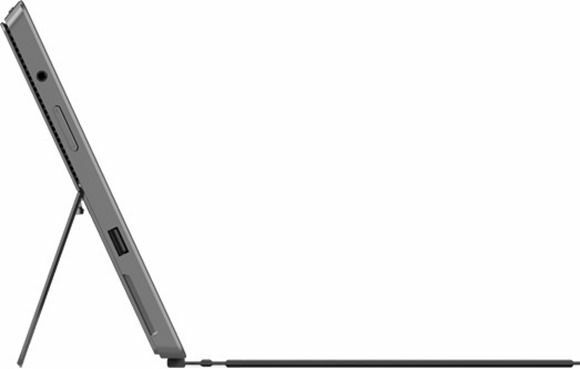 Follow Microsoft Surface Pro news and details on our information page. Surface Pro battery life is likely to be a maximum of 5hrs under Wifi-On, screen-on working conditions. Watching a video might result in 4hrs of usage. Microsoft Surface Pro will not be an all-day device and we know that because Ivy Bridge and Windows 8 simply isn’t capable of very low power states. Intel’s CloverTrail platform is there to offer that in 2012 and Haswell will offer it for Ultrabooks and Tablets in late 2013 but 3rd-Gen Core i5 can’t. Even if Intel implement a lower power Ivy Bridge part it doesn’t mean you get longer battery life, it means that the designer is able to ‘program’ the Core platform for less heat in certain scenarios. For example, when undocked or on battery power the Surface Pro may not be able to use the Intel ‘Turbo Boost’ feature. In the worst case it could lock down to 800Mhz max clockrate to prevent heat build-up and to enable the designer to keep the fan turned off. Yes, the battery will drain at a slower rate but it means your tasks take longer. When you plug the Surface Pro in you could get back all that power, along with more heat and the required fan noise which could kick in under moderate loads. That’s the expectation. The 1920×1080 screen resolution sounds quite impressive doesn’t it. Under the new Windows 8 UI and in the new Windows 8 apps (most early demo scenarios) it’s going to be stunning but there are issues when you get to the desktop. Windows 8 on a 10” screen at Full HD resolution is going to be difficult to read, windows elements will be difficult to hit with a finger and there could be issues when trying to increase the font size. Turning the DPI settings up on Windows 8 desktop isn’t foolproof. Driving all those pixels take energy too. For most people this full HD screen is not optimal. There’s also the SSD size to consider. a 64GBSSD with recovery partition and Windows 8 with hibernation and page-files active isn’t going to leave you with much. On the last SSD-based Windows 8 system I tested, 80GB was lost to formatting, recovery partition and hibernation. Obviously there are ways to reduce this by removing the recovery partition doing some optimizations on the Windows build but expect to lose a minimum of 20GB, instantly, on any Surface Pro. After 6 months of updates and installs, you’ll be looking at very little storage. 128GB is the minimum in the Ultrabook world so if you’re planning to use Surface Pro for productive purposes, consider the 128GB version. Microsoft Surface Pro isn’t going to be the best consumer tablet out there by a long shot in my opinion due to battery life, size, weight and potential noise and heat issues. Does that make it a bad tablet? What Microsoft Surface is good for. We’re talking about a highly mobile desktop PC which can be used as a tablet, not the other way round. Surface Pro is going to excel at offering the fastest and most accurate web experience out there and it will do it with a finger-friendly operating system. It will offer the ability to work with home movies and images very quickly and it offers some of the unique features you’ll find in Ultrabooks. Apart from the digitizer layer, the HD 4000 graphics with Intel Quick Sync Video and fast boot/resume features you’re likely to see some of the following. None of the above features have been confirmed, but I expect to see some of them. CloverTrail, the Intel Atom-based platform that was built for Windows 8 offers a unique feature never seen before on a Windows / X86 combination. CloverTrail and Windows 8 can work together to shut down parts of the platform not being used to offer extremely low idle power drain. With the screen and Wi-Fi off I estimated that a CloverTrail-based system is uses 10x less battery than a 3rd-Gen Core-based Ultrabook resulting in always-on scenarios that other X86 platforms can not offer. The problem is that CloverTrail offers a dual-core 1.5Ghz Atom CPU. That architecture hasn’t changed since the first netbooks became popular. CloverTrail performance is, relative to desktops, poor. Later in 2013 Intel will launch Haswell, the 4th Generation Core processor. With 2X graphics performance in the ultra mobile SKUs and with a boost in CPU performance, a move to a system on chip design and other features such as DisplayPort 2, Haswell will also be able to offer similar low-power states as CloverTrail. Battery life for average use cases will be extended into what you would normally expect from a tablet and in addition, because the system is faster, it can get jobs done quicker and then get to idle quicker which means the Wi-Fi can sleep, the busses can sleep and the screen can switch off. It’s the perfect example of a platform with a high dynamic range and for the first time designers will have the chance to offer systems that are always-on but can perform like a desktop when needed. Haswell and Surface Pro were made for each other. So why didn’t Microsoft wait until Haswell is ready? 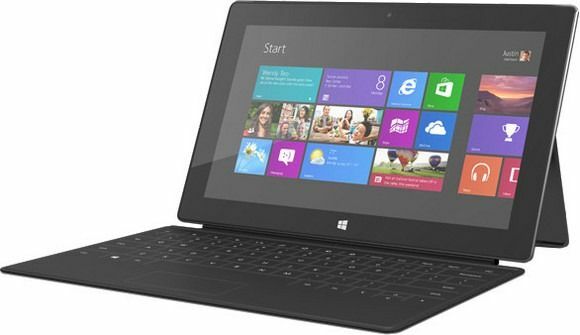 Haswell won’t be ready until late 2013 and CloverTrail probably wasn’t ready for the design stage of Surface Pro. Even if CloverTrail had been ready it doesn’t offer enough differentiation. It’s not good enough for a different category of customers. Intel may have played a strong role too by offering new versions of Core i5, maybe a ‘refresh’, for CES and Q1-Q3 2013. To leave out Windows 8 would have also been to place more emphasis on RT which could have damaged the reputation of Windows 8 and upset a number of large customers. Interestingly, when Haswell is put side-by-side with ARM in a Surface Pro product there won’t be many differences apart from price, processing power and the operating system. Battery life may not be significantly different between the two. Should you buy a Microsoft Surface Pro? 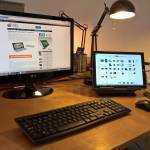 You have a number of dockable and tablet Windows 8 solutions out there right now. For those wanting mobility and a more consumer-friendly tablet experience with long battery life, choose a CloverTrail-based Windows 8 tablet. For those wanting a portable desktop replacement, look for Surface Pro to be one of the best examples out there. 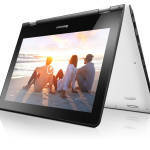 For those that don’t need the processing power but have desires on a Windows 8 tablet, wait to see what Q3 2013 brings. 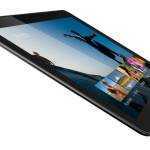 The 3rd Generation Core-based tablets have some issues that could all be sorted out in the next generation. I don’t think the screen resolution will be a problem at all. I know many business users that have used 1920×1200 laptop for years configured with 25% or 50% bigger fonts and never heard a complaint. While 5 hours of autonomy is disappointing it is nonetheless probably the best compromise doable without increasing weight and volume too much. For business purposes it should be enough: there are power plugs in most trains and airports and I can see very few private situations where you are regularly using a tablet for 10 hours without power plug access. It is nice to have but in the same way heavy smartphone users are used to charge their phone any chance they have tablets users will get used to charge it every 5 hours or so especially if there is a quick charge. I think it could appeal to many business consumers but personally there is no way I will buy a new system without at least trying it for a few minutes. Apple’s iPad, although the most used tablet and already 4th version can be tested and bought everywhere. Why not the Surface? How are people supposed to get excited about an invisble product? Surface can be tested in all Microsoft stores but yes those are mostly in US. I think reason not to sell it outside store is their partners. I don’t see a problem with 4-5 hours battery life. How often do you have absolutely no power source (incl. in car charger) and require more than 5 hours and also need full productivity? The Yoga 13 has little bit more battery life and screen size is bit bigger but then you probably say weight is too high and not as portable (and as tablet not quite as good). What device exists today that does all of that (incl. able to use as tablet)? I can live with the ‘limitations’ until we get better devices as you mentioned. Chippy, it seems to me you tried hard to be negative in this article. Easy, it will not be so bad. I didn’t try to be negative, just to expose some potential issues. As I said, in some cases Surface Pro will be one of the best examples out there but people, especially mainstream tablet buyers, need to be aware of these issues. – If battery technology develops (it is the hard part). I believe all business people running around with a 3 kg laptop + an iPAD because it is cool will be happy to trade both for a 13″, 13 mm, 1,3 kg , 1300 US$ touch ultabook with a 6-8 hours battery life. The same time such a machine will not be a punisment to the consumer segment either. I know you were talking about the “now” and not about the next 3 years but I have my interests in the long term trends and the start is promising. I think these are valid negatives but almost all tablets have these downsides (especially battery life unless you are talking about RT). It does sound negative when chapter title says “Why the Surface Pro won’t be a great Consumer Tablet.”. I disagree that you can generalize that. It will be bad for some target audiences but not for others. Not sure if you see this Ultrabook or tablet competitor but I don’t think a 10″ $900 tablet with core CPU is for mainstream tablet buyer. More like a niche product. One thing missing is the included pen stylus. Inking is more unique in this class. 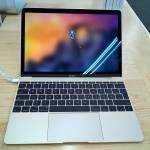 I loved the keyboard connection which is more elegant than Asus which seems quite clunky in comparison. For portability and features this is hard to beat. On price and battery life sure there are better options. The assessment of Surface Pro makes absolute sense. I’d like to add: choosing microSD over standard SD is, to me, a flaw in the design. Why? Most cameras use standard SD, thus machines with microSD are not well suited for moving pictures from a camera to the “tablet”. Regarding Full HD resolution, desktop mode and increasing the font magnification: sometimes this doesn’t work well. I’ve experienced programs where the pull down menues extend below the bottom of the screen with such a set-up, making it impossible to select the menu items that are not seen. I was worried that text @ that resolution on that screen size would be difficult as well but surprisingly its quite beautiful (basing this on the 700T) the real issue with that resolution on that screen size is its simply not conducive to touch, you will be driving the display with every input except you finger – as opposed to just hearing the word tablet and scooping it up. That might well be fine but coming from the HD display of the 500T I found it kind of annoying to get out the stylus all the time whereas the 500T could be driven entirely by fingers. As for Haswell tbh, I just don’t buy into the never ending cycle of waiting for the next chip. You’ve been around tablets long enough to know theres always some saviour like chip on the horizon and yes progress is made but its never the be all and end all, Haswell will be good but its not going to be the god chip, by the time it comes out it will have its own limitations, likewise bayfield will be sporting even longer battery life, better performance and full HD so then were back to the icore v atom arguement. I don’t see this ending anytime soon and theres no point waiting if you have an actual purpose to purchasing any of these machines. In the “worst case” szenario aka locking the CPU to 800ish mhz, how would you estimate the battery life? I’d be totally fine with 4-5ish hours on “full power mode” if could get about 7-9ish with the performance of a clovertrail or arm processor.